I will be enjoying a trip to England at the end of June for my granddaughter’s wedding. Looking at my 10-year old swimsuit which I’m sure could not make the trip, I decided to go shopping. Now swimsuit shopping is not at the top of my list of favorites, I always dread this trauma of this experience. I thought this story would tickle your funny bone, however I think there is and element of truth here also. Let me know if you agree. I have just been through the annual pilgrimage of torture and humiliation known as buying a bathing suit. When I was a child, the bathing suit for the woman with a mature figure was designed for a woman with a mature figure. Boned, trussed, and reinforced, those swim suits were not so much sewn as engineered. They were built to hold back and uplift and they did a darn good job. Today, stretch-fabric bathing suits are designed for the prepubescent girl with a figure chipped out of marble. The woman with a mature figure has little choice. She can either front up at the maternity wear department and try on a floral costume with a skirt and come away looking like a hippopotamus that has escaped from Fantasia – or she can wander around any run-of-the-mill bathing costume departments and y to make a sensible choice from what amounts to a designer range of flora rubber bands. What choice did I have? I wandered around. I made my choice and disappeared in to the small chamber of horrors known as the fitting room. I fought my way into the first suit but as I twanged the last shoulder strap in place, I gasped in horror. My bosom had disappeared. I found one cowering under my left armpit. It took a little longer to find the other -flattened beside my 7th rib. The problem is” today’s suits do not have bra cups. 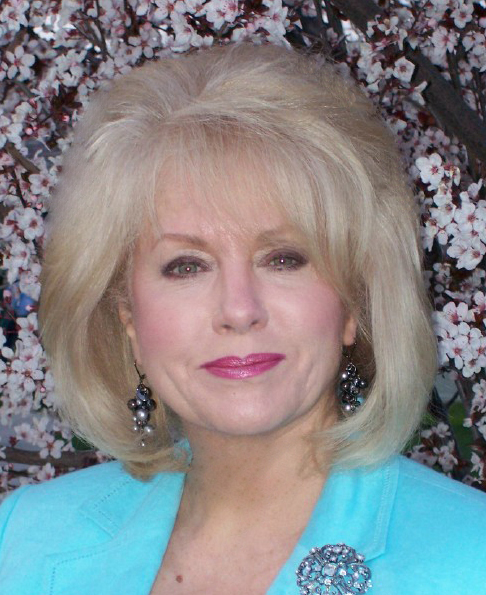 The mature woman is meant to wear her bosom spread across her chest like a speed hump. I realigned my speed hump and turned to the mirror to make a full-view assessment. The suit fit all right. Unfortunately, it only fit those bits of me willing to stay inside it. The rest of me oozed out of the top, bottom, and sides. I looked like a lump of play dough wearing an undersized piece of cling wrap. As I tried to work out where all these extra bits of me had come from, the sales girl poked her head around the curtain. “Oh, there y’all are,” she gasped. “Yes, they are ALL me,” I replied, looking at the extra bits. “What else have you got?” I tried on a crinkled cream one which made me look like designer tape. I tried on a floral two-piece which made me look like an over sized napkin in a napkin ring. I struggled into one of leopard skin with a ragged frill and ended up looking like Tarzan on an off day. I donned a black one with a net midriff and looked like a jellyfish in mourning, and I tried on a pink one whose legs were so high cut I would have needed to wax my eyebrows to wear it! Thank you for dropping by and sharing your time with me. I would love to hear from you. 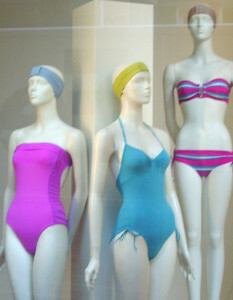 How do you feel about swimsuit shopping, do you find it traumatic too?